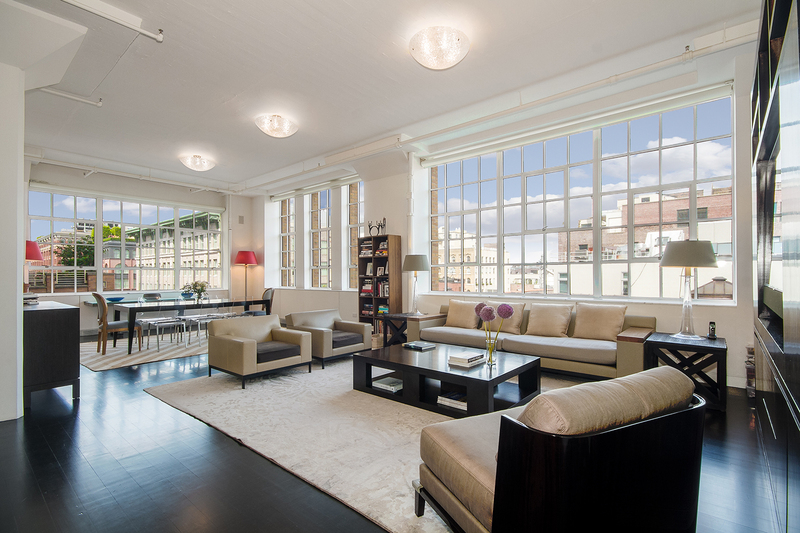 Located in the heart of Tribeca in the quintessential converted industrial loft building, 145 Hudson Street, this stunning 4-bedroom, 3.5-bath apartment spans 3,300 square feet with over 11-foot ceilings, iconic oversized windows and a gracious layout that complements its gorgeous renovation. The soaring ceiling heights coupled with the dark, wide plank flooring combine to create the most elegant of residential environs. 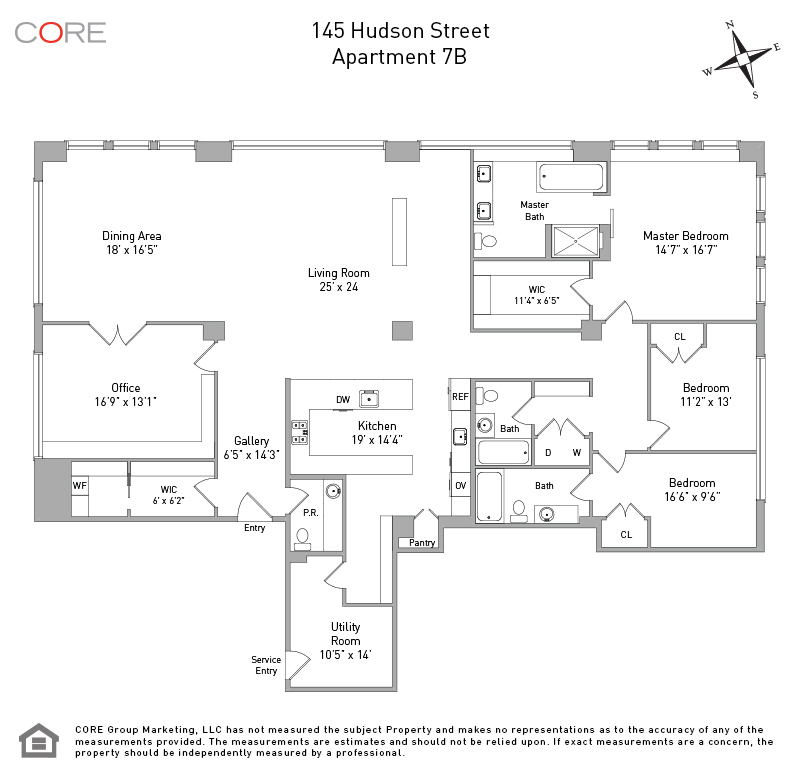 145 Hudson has long been the first choice for buyers seeking true loft living and this apartment will exceed their expectations. The apartment's living and dining area flow smoothly into an open chef's kitchen featuring a six-burner plus griddle Wolf range, two sinks and significant counter space for all cooking, dining and entertaining needs. A separate playroom/den has cleverly been created in the large living room with the addition of a beautiful piece of custom millwork that allows the typical open loft typology to be adjusted to provide for flexibility of use and function. The northeast facing master suite features eight windows outfitted with electronic shades, allowing sunlight in and out at the touch of a button, a custom built walk-in closet and a double vanity bathroom with soaking tub as well as a steam shower. The fourth bedroom, currently configured as a sophisticated wood paneled home office, could also be utilized as a screening room or library. The Sky Lofts building at 145 Hudson Street has a rich history of commercial and residential tenants including noted photographers, architects and designers who were drawn to the building's classic loft dimensions and character.